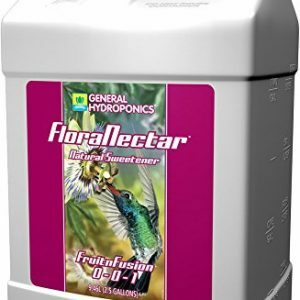 Get the convenience of an Ebb & Flow System in a 22″ x 22″ x 10″ size garden. 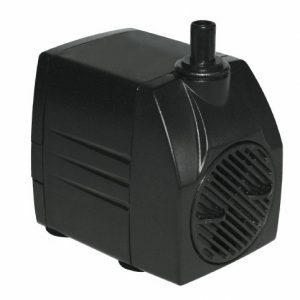 Ebb &?flow (flood & drain) systems work by pumping nutrient solution up from a reservoir to a controlled water level tray. All plants are watered uniformly on a timed cycle. Whether you’re a new urban farmer or an old-school green thumb, raising your own plants is easier, faster, and more fun than ever with this hydroponic gardening system. 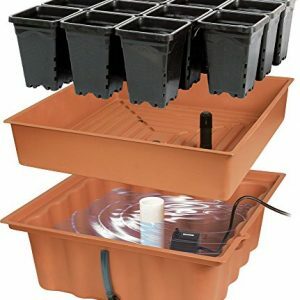 Hydrofarm Megagarden Hydroponic Gardening System features a 4-square-foot garden space that produces 5 times the yields of a standard garden its size. That’s right. 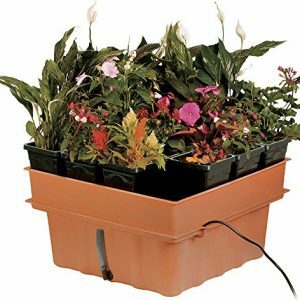 This 10-inch-tall garden system grows lettuce, herbs, vegetables, orchids and more, indoors or out–5 times faster than the standard garden–and does it without using soil.